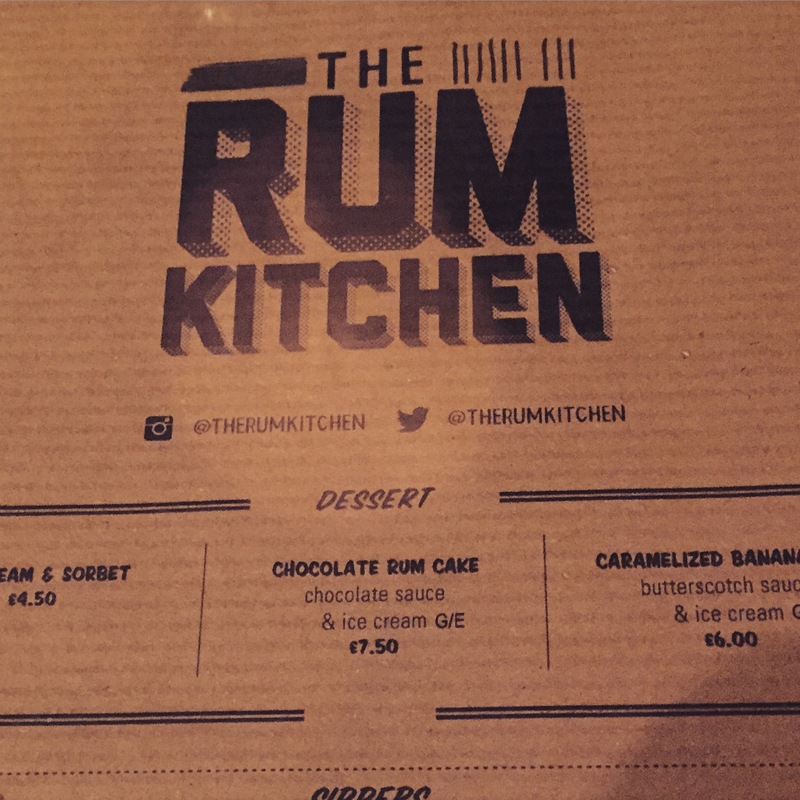 There’s food that fills your belly and there’s food that does that while feeding your soul, The Rum Kitchen is the latter. 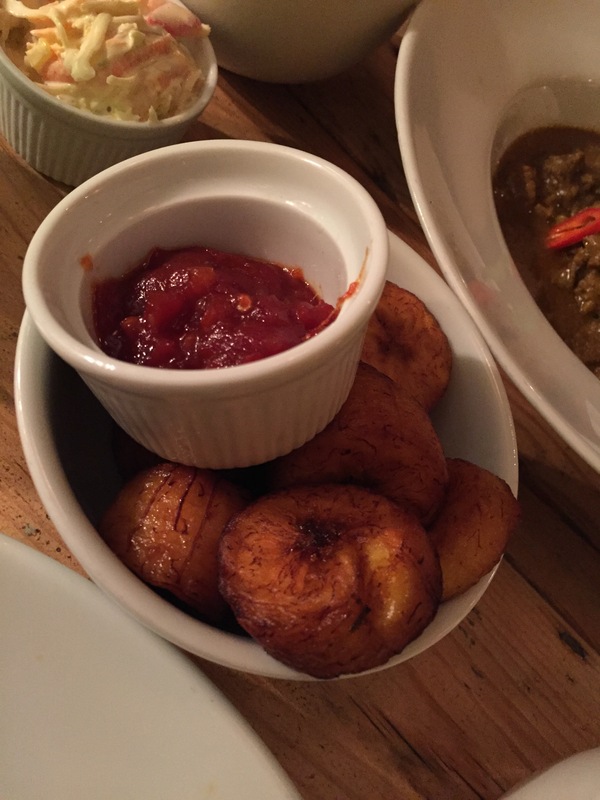 I have heard rave reviews about the Rum Kitchen from so many people and last week I finally got a chance to visit the Notting Hill branch of this Caribbean restaurant. 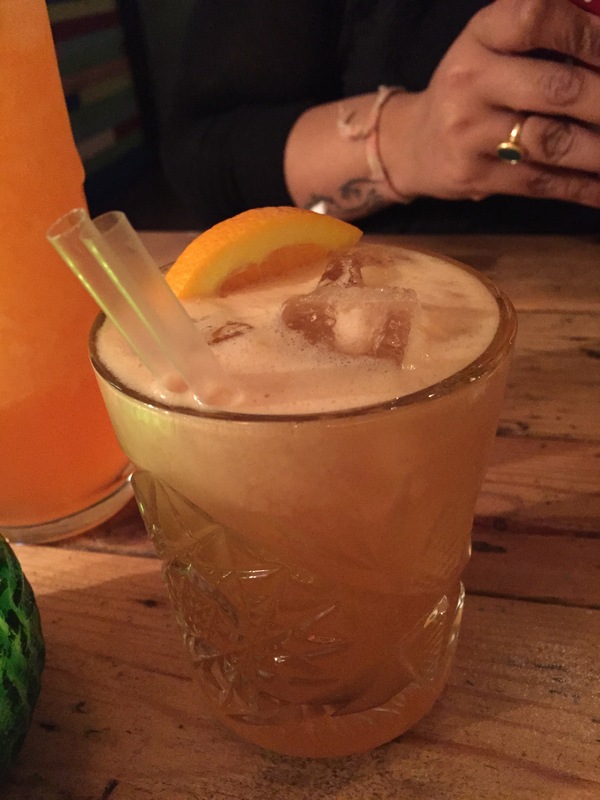 IT was a dreary, cold Thursday evening when my friend and fellow blogger Bina rocked up the The Rum Kitchen ready to have your taste buds explode. 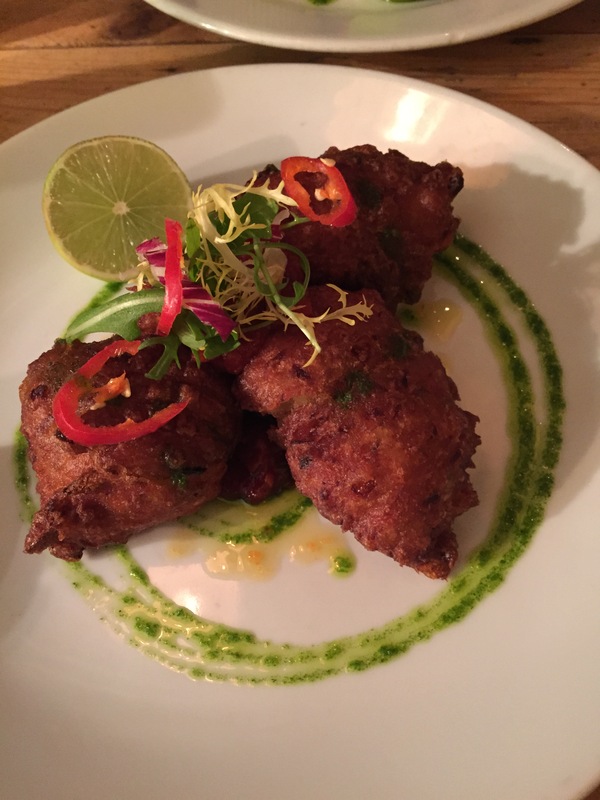 We were shown to our reserved table ( I would suggest booking as it got really busy) and we started with some cocktails and the salt fish fritters and the baby squid. 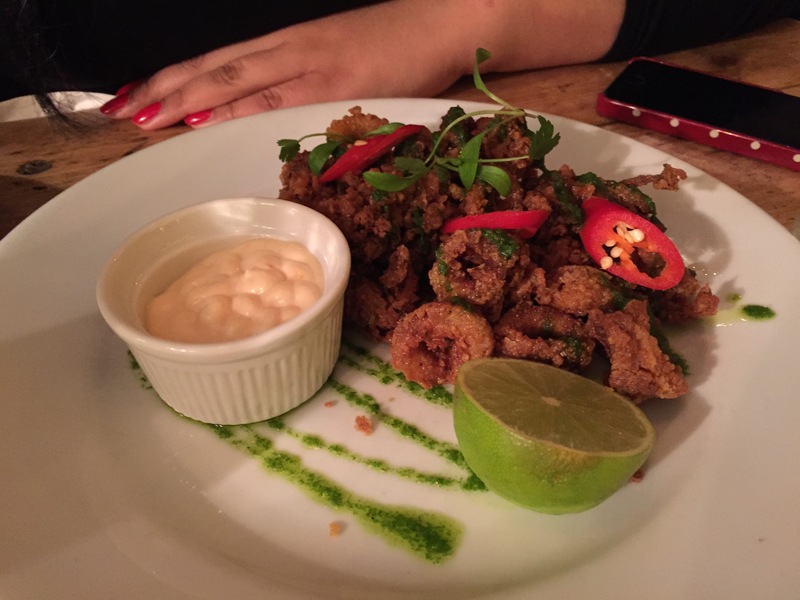 The squid was also delicious. It was freshly made (you can just taste the freshness in all the food), spicy, crunch, more-ish and indulgent. 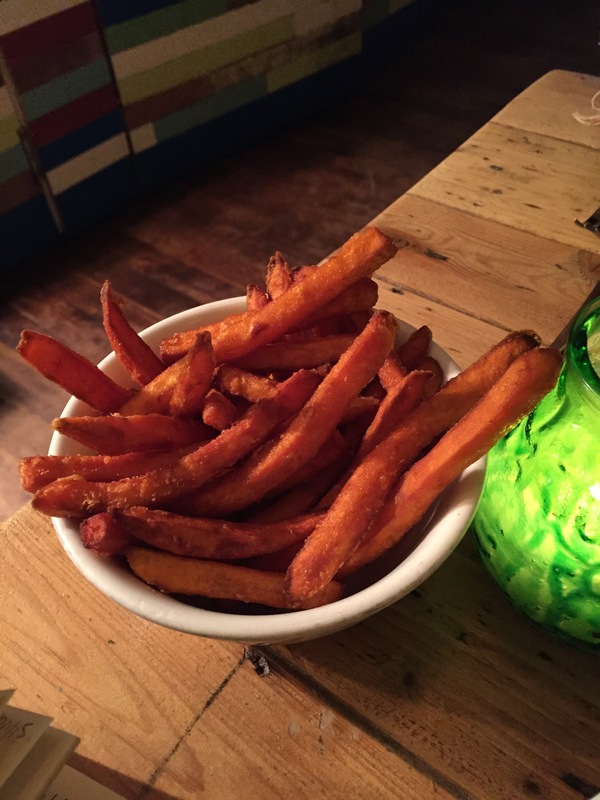 It was served with a spicy mayo. 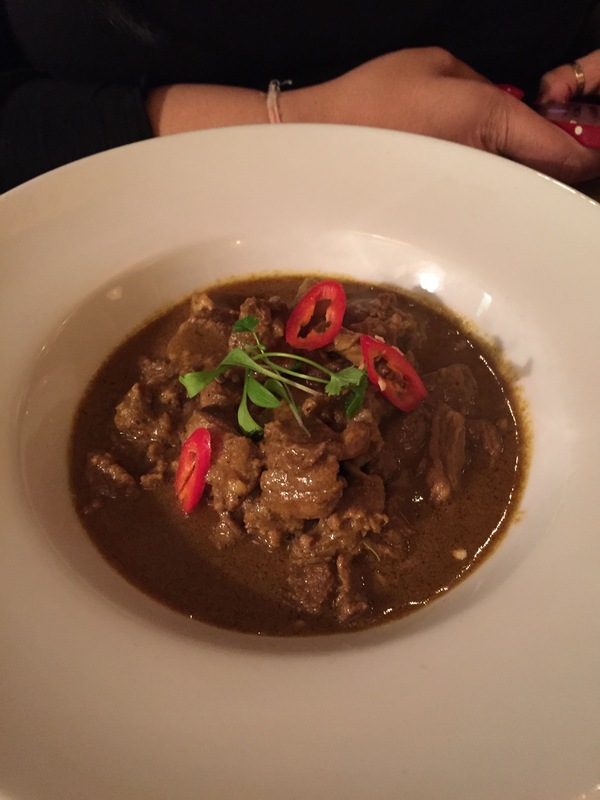 My friend had the curried mutton which smelt just heavenly and nicely packed with flavour. 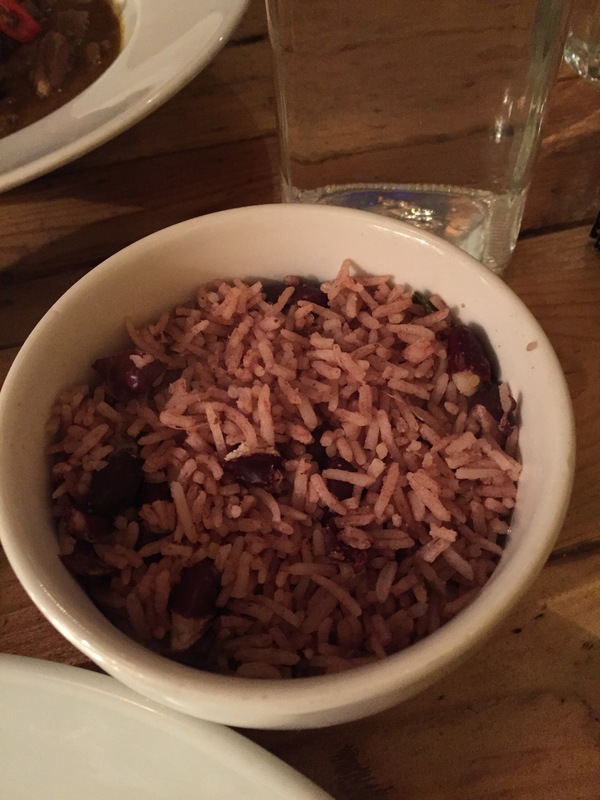 It was lightly spiced and well complemented with rice & peas and coleslaw. I went for the jerk chicken supreme and supreme it was. 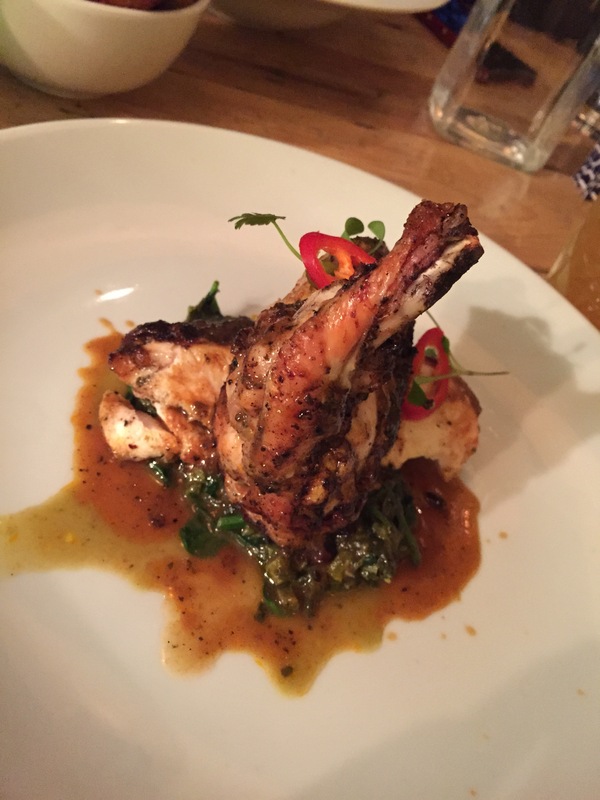 A generous piece of jerk chicken (my first time eating jerk chicken and it was not my last) was tender, light yet filling, well presented and oh so succulent. It was served with a gravy like sauce (not sure what it was called) chillies and spinach. We tried a few different cocktails.. we started with the Reuben Carter which was a long fruity, punchy, refreshing drink. 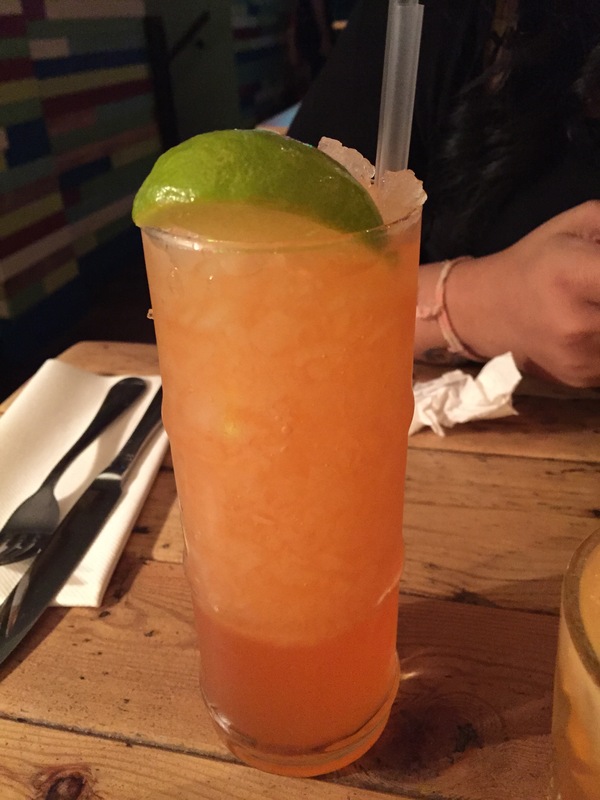 The L.D.D was a short cocktail which was fresh, strong, authentic and pretty! Later on Bina had the Coco Lola which was a coke float style cocktail which took you back to your childhood. It was coconutty, thick, sweet and creamy. 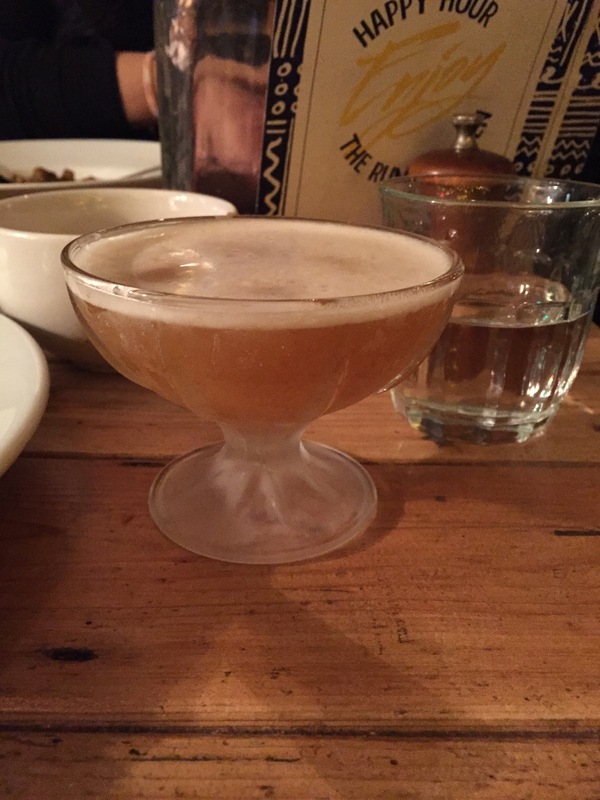 I ended with the strange fruit which was served in a really cute little glass and was fruity, sweetened with maple syrup and pretty. 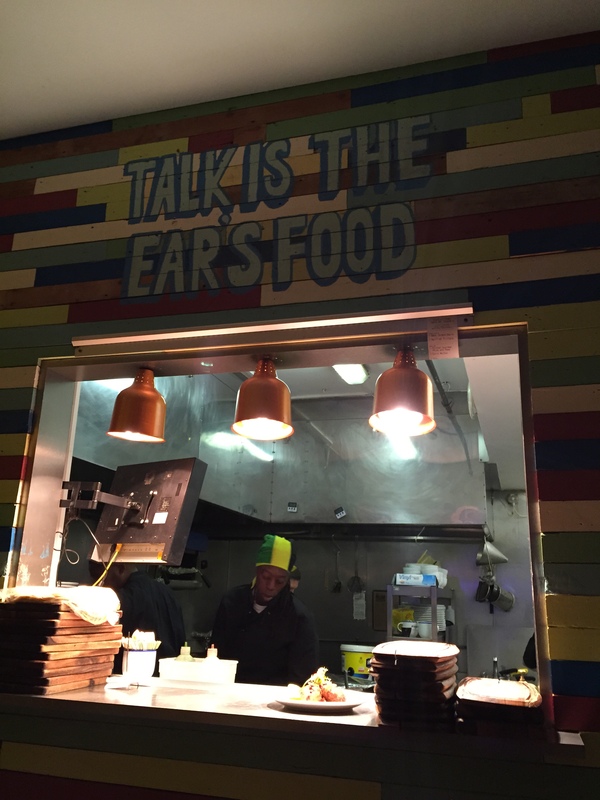 With their calm, relaxed, chilled and soulful approach to the food we had an amazing time at The Rum Kitchen and can see it becoming a regular hang out. 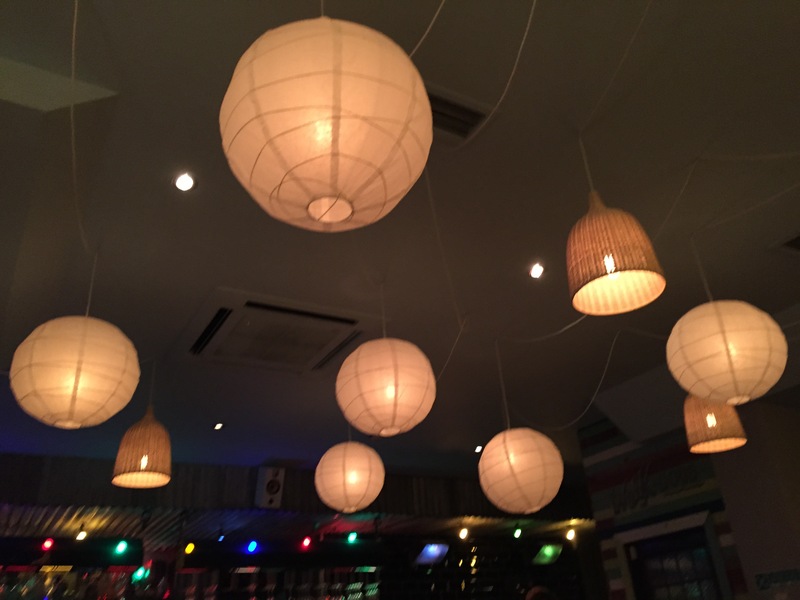 The Rum Kitchen has great ambience, it is quirky and makes you feel like you’re on holiday. 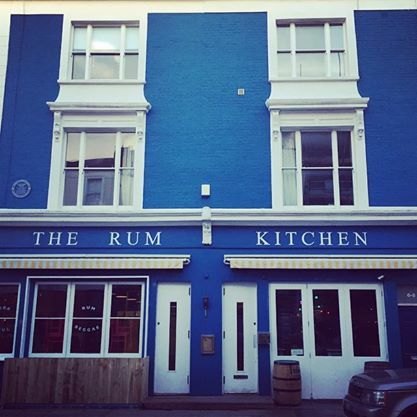 The Rum Kitchen is Soulfood made with love.